Personalised One on One Makeup Lessons on your Desired Makeup Look. 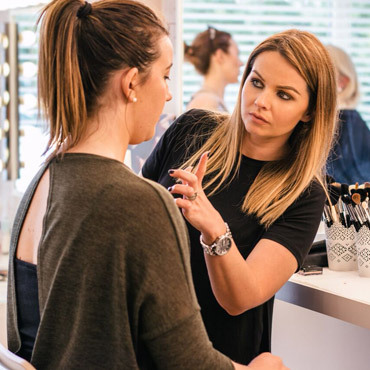 This hugely popular masterclass is for anyone who wants to know how to apply perfect makeup. Learning how to apply your own makeup can be so much fun and save you a fortune in time and money on buying products that you don’t know how to use or just don’t work for you. Danielle will show you how to apply your makeup flawlessly to suit your skin type, face shape, eye shape and colouring. You will leave with a personalised makeup look which you can feel confident recreating at home. Request a One on One lesson.